Village green in Great Chesterford. Used under a Creative Commons Attribution-ShareAlike licence. A test for farm machinery experts: can you identify the type of tractor recorded in this clip? The clip is from a radio programme, ‘Voices from my Village’ (SA 34/1/1/5/1/3/1). 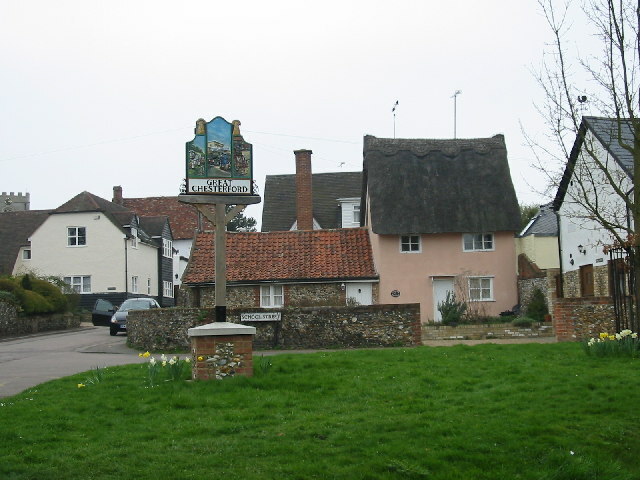 The programme was created by Carl Huson about the village in which he lived, Great Chesterford, as a representative of a typical English village (although it is never named in the programme). How distinctive is this tractor noise compared to others? Has the noise of tractors changed significantly over the last fifty years? How about the sound of the bleating sheep that you can also hear in this recording?